Back in the early 2000s I was a young IT technician working at a local factory where several members of the management team decided that they couldn’t live without a BlackBerry device. It seemed that they were far too important to read email like the rest of us – i.e., at their desk – and had to have a mobile phone that also offered email. Not so strange, you might think, but back then the idea that email would appear without being polled was completely new. My first experience of BlackBerry was restricted to setting up handsets and passwords — most people who used the devices will remember their impact as an addictive, relationship-threatening communications platform that made it possible to answer vital emails at 2 AM. RIM’s phones were so popular that the term “crackberry” was coined to describe how addictive they were — this also happens to be the name of a BlackBerry news and fan site. Years later, of course, things are different — push email comes as standard, smartphones are everywhere and the BlackBerry platform seems to be on a downward spiral. But do figures back this up? In the early days, outages on the BlackBerry network weren’t uncommon, but as time passed these problems seemed to become much less frequent for RIM, and this stability made the platform a major selling point. Following the long outages of the network in October 2011, however, this looks set to change. While RIM claim 70 million subscribers to their service worldwide, it is unclear how many of these are still active. There is every chance that some of these are held by users that have put down the BlackBerry in favor of an iPhone, for instance, but estimating concurrent user stats won’t be possible until RIM update their figures. The October outages – which lasted four days and hit the UK and Europe, North America and South Africa, not to mention much of South America – were poorly timed for RIM. With the iPhone 4S released a few days later and the launch of the Android 4.0 platform, there were more than a few users left wondering if it was time to change. In contrast, seven or eight years ago BlackBerry was the de facto choice for anyone requiring smartphone push email access, with corporate users flocking from Palm and Microsoft’s Pocket PC platform to take advantage of the service. There are some commentators who argue that RIM’s lack of current success stems from a desire to appear “relevant” to non-corporate users. 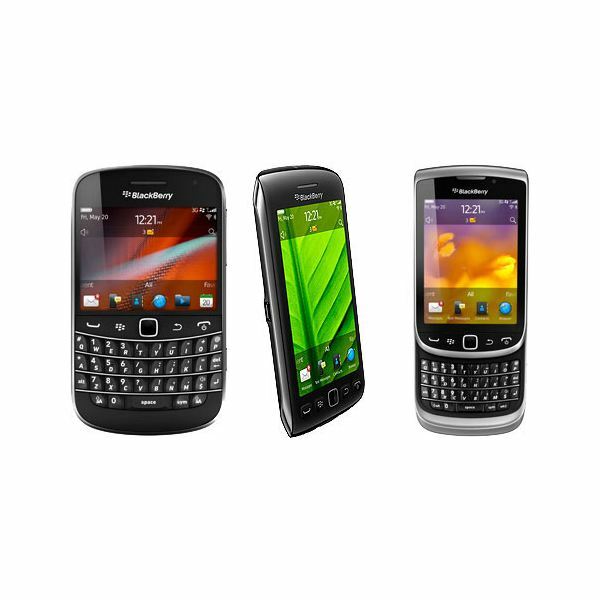 Certainly the BlackBerry brand and BES licences earn a vast sum of money for RIM, but their recent restyling of handsets to include new hardware features such as touch screens has been coupled with a new focus on non-corporate users, namely teenagers. This has been facilitated by the BlackBerry Messenger service (also known as BBM) which enables the creation of ad hoc groups that can be quickly messaged in much the same way as a group chat on a desktop instant messenger application. BlackBerry Messenger has proved very popular for the youth market and was even blamed in the UK for its role in the August riots that devastated parts of London. At the same time, we shouldn’t forget that there are a lot of industrial users, as well as government departments, and the recent ceding of security protocols to various governments around the world (including India and Saudi Arabia) has resulted in the platform becoming unattractive to individuals and businesses wishing to maintain privacy while working overseas. Disregarding subscription-paying users in this way while finding its product at the center of a civil disruption controversy is a far cry from the days when RIM were able to easily promote BlackBerry as the ultimate smartphone solution. Does BlackBerry Still Have a USP? The main problem with BlackBerry’s current reputation is that everything it used to offer has been surpassed by iPhone, Android and other platforms. Push email was already available within Microsoft’s Windows Mobile operating system when iPhone came along, while the flexibility of having a mobile smartphone with an easy to use browser, apps and a usable keyboard were all included on Apple’s revolutionary device. Even by entering the touch screen market, RIM has failed to capture the industry’s imagination in the way that their earlier devices did, and their most recent innovation, BlackBerry Messenger, has been surpassed by various apps on Windows Phone, Android and iPhone. The one-time giant of smartphones and corporate communications managed to convince a generation of IT and networking directors that it was the answer to their mobile email prayers despite the vast majority of its customers already having everything it needed (Microsoft Exchange, ActiveSync and Windows Mobile devices) to perform the same functions that RIM was offering at a premium. All businesses make mistakes from time to time, and none of those made by RIM have been particularly damaging on their own. Perhaps the faults, outages and criticism of recent months could have been dealt with more effectively with some quality PR — the strength of marketing that saw BlackBerry forging a new sector in the first few years of the 21st century seems like a distant footnote.